Welcome to the competition page for the club. Here you will find the latest and most up-to-date information for future dates for competitions and club galas. The Cotswold and Arena Leagues are the most important gala competitions of the year for club. It’s an honour to be chosen to represent the club so we hope you can keep these dates free in case you are picked. Teams will be picked in accordance with the clubs selection policy. Here is the Availability List please let coaches know of your availability ASAP. Finals April 27th 2018 – As per the league rules only swimmers that have swum in a preceding round are allowed to swim in the finals. Please visit www.somersetasa.org for Qualifying times. If you are chasing county times and are entering the Yeovil Christmas meet as an independent swimmer then please let Debbie know – somersetstones@btinternet.com. Closing date Friday the 7th of December. Only open to swimmers who have entered in Swim England SW Region Winter or Summer Championship since November 1 2018. Swimmers will enter and swim all events and results and awards will be decided on FINA points gained in all 5 events by the top 3 in each age group. 6th and 7th April 2019. Another really popular meet so the closing date is Friday the 21st of December. entry form here. You can print and return the completed form, email the completed form to somersetstones@btinternet,com and there will be a limited supply available from the front desk on a Friday. All junior squad and squad swimmers are encouraged to enter. Any questions please ask or if your unsure which events to enter Ricky Hayes will be more than happy to help. Friday 12th April – Sunday 14th April 2019. This is a popular meet so please note the closing date is Friday the 1st of FEBRUARY. You can download the entry form here. Please print or email your completed form to somersetstones@btinternet.com, there will also be a limited supply available from the front desk on a Friday evening. All Junior and squad swimmers are encouraged to enter, If you have any questions please feel free to ask. If you would like to enter but would like some advice then please speak to Ricky Hayes who will be more than happy to help. …. and the feeling is mutual. Somerset ASA President Colin Christmas writes: “One of the highlights of the year for clubs all over the County and the country of course, are the Club Championships. Usually this is the opportunity for many young swimmers to experience competition for the first time and for others, not yet in the club team, to swim under the club’s colours. It’s ideal in that respect – on home turf and in front of a friendly, supportive crowd of parents, coaches and peers. “In other ways Championships provide a snapshot and showcase for what clubs do. Novices and first timers race on the same programme as some of their role models, swimmers whose names they know but who they never actually meet because they train on other nights or who arrive just as they are leaving poolside, like some future, bigger version of themselves. Volunteer parents and coaches are everywhere, ‘recruited’ one way or another to cover the dozen and more jobs necessary to make an event run safely and successfully. “And that’s why I was happy to accept the invitation from Bridgwater Amateur Swimming Club to attend the first night of their Club Championships on Saturday 27 October 2018. “I suggested when I replied that I’d prefer to make myself useful, if I could, which is how I ended up announcing for the evening. 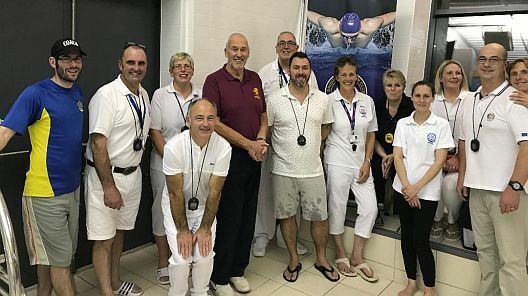 It turned out that it meant being down on poolside where it was all happening and being reminded time and time again of the commitment and expertise all those volunteers bring with them. 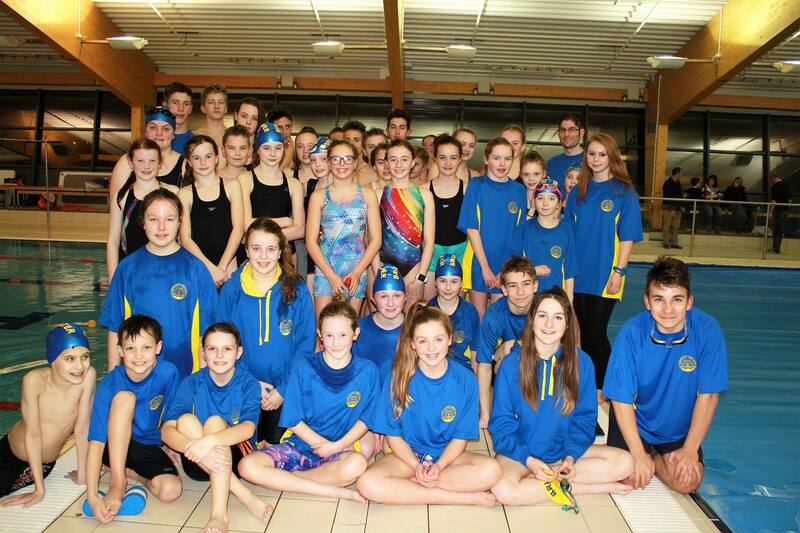 “I was nearest to the youngest swimmers and it was impossible to ignore their excitement and enthusiasm. And the thought that they represent the future of the club – the next generation.